I’m looking for a VERY specific person. Or you might KNOW her. ✨She is coachable and independent but will ask for help when needed. ✨She’s a mom or someday wants to be a mom who is present to raise her children but doesn’t want to lose her financial independence. ✨She’s feeling stretched a little thin and not exactly in a position to add something more to her plate but at she knows that short term sacrifices are worth it. ✨She sees the potential for FREEDOM and is willing to work for it. ✨She wants to lead a healthy lifestyle – not just for herself but for the energy to be the mom she wants to be for her children. ✨She is willing to do things today that others are not willing to do so that someday she will have the things others only dream of. ✨She wants to empower herself, her family and other moms around her and show them-that you can have your cake and eat it too but it may take hard work. ✨I stumbled upon this online coaching business and it fit everything I needed. I could work when my schedule allowed me to and the potential was limitless. I built relationships and saw the power I had to truly change other people’s LIVES! ✨I was tired, my kids never slept but I longed for more FREEDOM. I set big goals and worked hard to achieve them. Through sacrifice and a positive never give-up attitude… I have built a substantial business in just 2 years and it is my goal to help others do the same! ✨I am looking to mentor 5 passionate, driven, committed ladies to do the same. My team is hosting a Back Stage pass to WHAT IS BEACHBODY coaching – and you’re invited! Hey hey all my amazing ladies and followers! My team is hosting a LIVE event next Tuesday – February 23rd at 9:00pm EST for all of you who have expressed interest and are ready to learn more about what Beachbody Coaching is like on my team, One. Fit. Fam. If you’ve ever wondered what exactly it is that I do in this “work from home business” or how I have been able to lead a TOP team in the network while still managing my duties as a SAHM, then come join us, hang out, grab a glass of wine, bring a friend or two along and LISTEN in! How to manage and balance life as a FULL time stay at home MOM and COACH as well as FULL time work outside the home and COACH. Then we’ll knock your socks off with a few myth busters!!! You’ll even have a chance to talk to us and ask any & all questions you have!!! We kicked off 2016 ranked #103 out of the 400,000+ coaches in the network and I am so excited to work with all these amazing ladies and help more people and simply GROW to make 2016 the most impactful year yet!!! You can email me at maeganblinka@gmail.com – OR – fill out this application below! Yesterday we packed up the fam, joined forces with some friends and traveled to State College PA to visit a good friend, my business success partner, who has been hit with a few curve balls of life! And well, you can’t surprise a friend on Valentines Day weekend without showing up with a little treat! I have been trying to really limit my dairy intake after a recommendation from my dermatologist and she is on a gluten free diet so I decided to take the best of both worlds and whip up a new recipe of shakeo no bakes! The cinnamon most definitely spiced things up and the rice krispies added a nice little crunch! See HERE for the full recipe. And while the cookies were a hit and the day was a blast what I really came home focusing on is what I found at the bottom of that challenge pack box nearly 2 years ago. Like I said above, this trip was to visit my business success partner – who is now one of my closest friends who I talk to on a daily basis. But before we became really amazing friends, business building MOMpreneurs and a support system for each other – we were CHALLENGERS – together – in a CHALLENGE GROUP – trying to fight off those last few post baby pounds. We both contacted our now coach, purchased the 21-day fix challenge pack, and got to work! We were bonded on that common goal and through the success of the group & reaching our goals we began to realize there’s so much more in that box than a workout program & meal replacement shake. We could pay it forward and share what we learned to help others! We were challengers who found a passion for supporting one another and we became coaches. It wasn’t part of what I expected from that challenge pack box but what I soon realized is that I gained so much more than I bargained for! Today we spend our time helping other MOMS and other WOMEN reach their health & fitness goals and build their own businesses from home. I finally feel like I have a purpose beyond someone else’s employee and beyond the roles of a wife and mom. I have the opportunity to make a DIFFERENCE in this world and so can you! My team is hosting an open house next Tuesday, February 23rd and you’re invited to join us! To hear about how I went from a CPA, Accountant – to Stay at home mom – to Work from Home MOMboss! Well I am here to say – STOP. Stop the negative self talk and disbelief and start telling yourself YES I CAN! But here’s the deal – you have to BELIEVE in yourself FIRST – you are meant for greatness! I was a full time Audit manager working 50-60+ hours a week and I left that to be a full time stay at home to my two littles. And after a year – through a journey to find a better sense of health and happiness for my personal self…I found my passion! 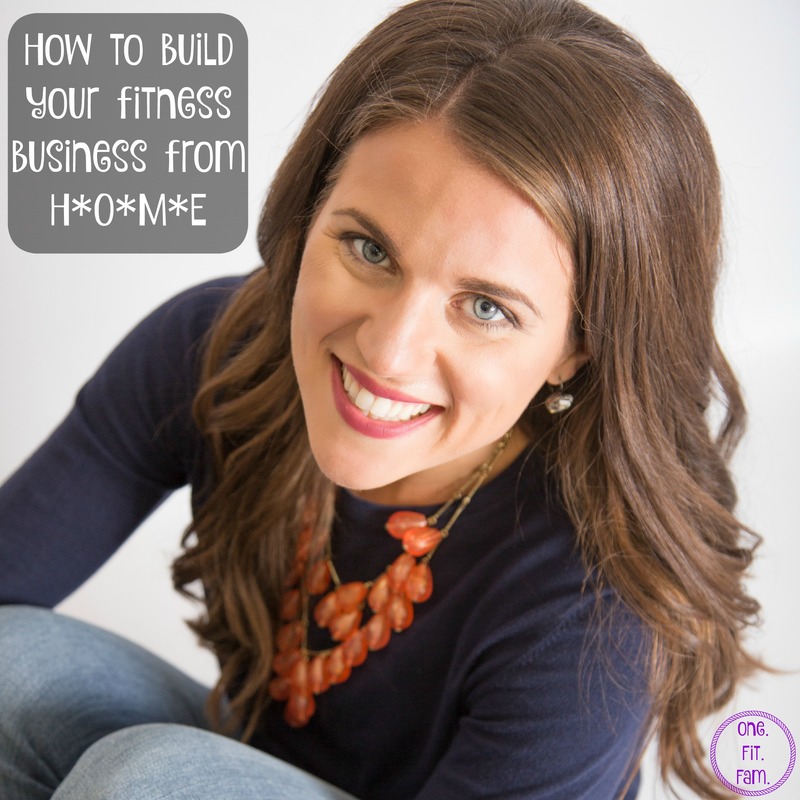 I found the little changes I was making in my own life – like exercising regularly and fueling my body with the nutrients it needs – were making me a better mom, a better wife, a better PERSON and this opened this door to building my own business from home – helping others – coaching others the same way my coach helped me! I am still able to be there for my children but at the same time I building my dreams – while they sleep, late at night and in the early mornings. It takes sacrifice, hard work, a little tough skin and determination but if you are willing to make the short term sacrifices today for long term results in the future I promise you it is worth it! I have a system that is duplicatable and my goal is to help you learn from my mistakes and build a business that is right for YOU and your goals! You don’t have to recreate the wheel but through my New Coach Training I will give you the tools, tips and recipe for success. The only missing part is YOU! —> Goal setter and go getter! I have been working on compiling the best and most useful information to make our 21 day jumpstart academy work for you! My next training session of 2016 is now open and accepting applicants! Let’s fly together in 2016!! Apply below! My head is truly spinning and I am sitting here today – after a whirlwind of a weekend – with a grateful heart that I was invited into a life-changing opportunity nearly 2 years ago! You see 2 years ago I had a really good life. I was a SAHM to a toddler and a newborn, I had an amazing husband, we lived in a beautiful home and I was HAPPY. I thought I had it all but then I found that I was missing something in my life. Something bigger. Something powerful. Something that allows ME to empower, inspire, support and something that allowed me to find my PASSION. Something that took this really good life I had and it made it GREAT! I became a Beachbody Coach! I had success in a challenge group, I wanted to pay it forward to help others and in time – through CONSISTENT hard work, daily dedication and discipline I grew a BUSINESS. Now I know some people may see my daily sweaty selfies after my 5:00am workout in my basement and don’t quite get it – but I wanted to take this opportunity to share there is so much more to it! I shared my story, my journey and brought others along for the ride. Something that I began doing out of joy provided me with an outlet to grow a very successful business. And after finishing the year in the top 0.05% of the ENTIRE network – out of 400,000K other coaches – I earned an invitation to the 2016 New Leaders Conference in Los Angeles – and away I went! We had the opportunity to tour the Corporate Headquarters and it really helped me realize how much Team Beachbody leads from the front with integrity and class. The culture was amazing not to mention the impressive gym and unlimited shakeo bar offered to its employees! The mission to end the trend of obesity and to help others lead healthy and fulfilling lives starts at the top and I was honored to be able to see it all first hand! Now it wasn’t ALLLLLL fun and games… we were there to learn too! To hear from some of the absolute BEST in the company and get tips and ideas and inspiration and really see the potential of this company. I am not a typical note taker but I couldn’t stop writing things down!!! I am so very blessed to come from the 2X #1 Coach in the company Melanie Mitro, and she was right there with us sharing and learning and inspiring us with ideas and in the end – just having FUN! In addition to some pretty darn AMAZING training sessions from both top coaches in the network and the corporate team we also had a chance to get a sneak peek into Tony Horton’s upcoming program – 22 Minute HARD CORPS. I come from a long line of military in my family and Tony’s heart and passion behind this program and his dedication to he troops is unreal. I love the convenience of my at home workouts and being able to do it all from my basement while my littles sleep but NOTHING can compare to the personal instruction of Tony Horton himself. I don’t think I have ever pushed myself SO hard! I was honored to have this experience and cannot wait to help others get started with their life style changes!!! With the biggest snowstorm in years my flight back to the east coast got cancelled. And as bummed as I was it ended up being a blessing in disguise! A few coaches – we didn’t really know each other – got together and we hiked up Runyon Canyon to see the Hollywood sign. The views were breathtaking and the networking was priceless. The only thing that would have made this trip better is to have had some of my OWN team members there WITH ME! ut I have set a goal. NEXT YEAR – my team will still be represented and I will have at least 4 of my girls in LA to experience the opportunity and to be inspired just like I was. To learn from the top just like I did and to experience the full package deal and grow as LEADERS of their own teams too! Taking the road less traveled can be scary. I was a prior audit manager with my CPA license when I began this journey as a coach. I never imagined the possibilities of the business but once I took that LEAP I have never looked back. I am taking on 3 new members to my team. Runners. Those who want this business. Those who are ready to commit and FLY with me!! If you think this opportunity could be for you then fill out my application below and join my LIVE coaching event on Facebook for a little inside scoop to what we really do!